Despite previous rumors, the Gotham City Sirens movie is still happening. But no one is really sure when it will go into production, with the studio currently juggling several different DC projects. No cast members have been confirme, but there have been plenty of murmurs. Now we have artwork showing what one actress, Quantico and Baywatch star Priyanka Chopra, may look like if she lands the Catwoman role. There is no indication that she is even up for the character, or interested in any way. But, as always, the artwork from BossLogic is truly stunning. The artwork debuted on BossLogic Twitter, which comes weeks after a report claimed that Gotham City Sirens is being replaced by Harley Quinn vs. The Joker. While that project seems to be taking much more precedence over Gotham City Sirens, we did recently get confirmation that the project is still happening, but fans shouldn't expect it any time soon. This isn't the first time that BossLogic has used his artistic skills to suggest casting for this movie. 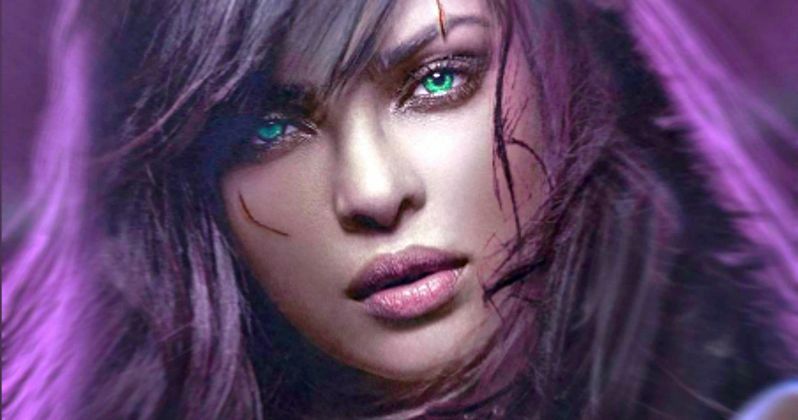 BossLogic recently revealed artwork that showcased what Emma Stone would look like as Poison Ivy, and what Eliza Dushku would look like as Catwoman. Neither of these actresses have been confirmed to be in contention for their respective roles, but another possible candidate recently emerged on social media as well. Mr. Robot star Stephanie Corneliussen also recently teased that she wants to play Poison Ivy, but it isn't clear if she has actually met for the role in any official capacity. There have been a slew of casting rumors swirling around this project, with a report from February claiming that Haley Bennett (The Magnificent Seven) is being eyed to play the Catwoman. Related: Gotham City Sirens Canceled & Replaced by Harley Quinn Vs. Joker? This project came to fruition completely through Margot Robbie herself. After she landed the role of Harley Quinn in Suicide Squad, the actress reportedly did a deep dive into the comics to research her character, and during that process, she became interested in many of the other DC female characters who are showcased in the Comics. She brought on an unidentified writer herself to develop the project, before taking the project to Warner Bros. The studio then quickly picked up the project. Gotham City Sirens was a recent DC Comics title that focused on the trio of Harley Quinn, Catwoman and Poison Ivy working as a team to do their own bidding. Gotham City Sirens doesn't have a release date in place yet and it isn't clear if director David Ayer is still on board, since it doesn't seem like this project will be happening for quite some time. Still, it's fun to speculate about who will play all of these iconic DC Comics female heroes. While we wait for more on this highly-anticipated project, take a look at BossLogic's artwork below.